Happy Valentine’s Day! While some may rather skim over this day and quickly move on to February 15th, others look forward to this romantic day. Often couples shower their loved ones with candy, flowers a romantic dinner or anything else that expresses their love. But there are many things you may not know about Valentine’s Day. 1. This day was said to have originated in Ancient Rome and was actually a pagan fertility festival that ran from February 13-15 called Lupercalia. This day focused on health and fertility and warding off evil spirits. 2. 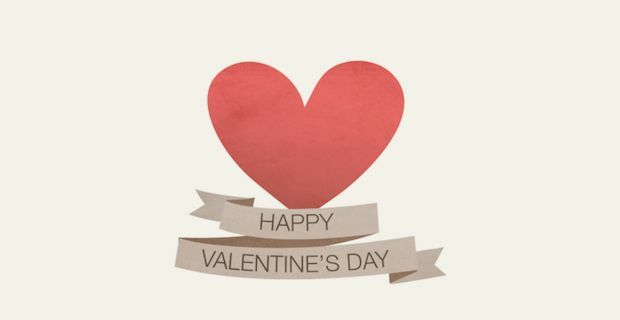 King Henry VII officially declared the 14th of February as St. Valentine's Day in 1537. 3. On this day many couples believe this is the perfect day to get down on one knee and as one of the most important questions, "Will you marry me?" There is an average of over 220,000 wedding proposals made on Valentine's Day every year. The jewelry and flower companies absolutely love this day. 4. Richard Cadbury, the founder of Cadbury chocolate, created the first box of chocolate in 1868. He gave his sweetheart a heart-shaped box full of sweets which has now turned into a major industry. While we may temporarily love these little chocolatey pieces of goodness, it really can turn into a moment on the lips but a lifetime on the hips. Thanks you Cadbury. 5. In Finland this day is known as Ystävänpäivä, or "Friend's Day" so it focuses the attention on friendships rather than romantic relationships. It is similar in Estonia as well which they call Sõbrapäev. 6. There are over 50 million roses bought every year worldwide. 7. While South Koreans do celebrate Valentine's Day, they also have Black Day which is for singles. This is celebrated on April 14th and is the day for all single friends to get together and eat Jajangmyeon, a noodle dish with a black bean sauce. 8. China also has a singles day which is on November 11th. It has turned into their own "Black Friday" where people go crazy shopping online trying to find the best deals. So whether you are going out on a romantic dinner or enjoying time with your friends, this is a day to spend time with those that you love and take a break from the busy fast paced life that so often takes over our lives. Happy Valentines Day!